You have your Nextcloud instance installed. But how can you sync files from your computer to your server? You need a client on your desktop-laptop. We will see how your can install desktop client for openSUSE, Arch Linux, Fedora, Ubuntu based distros and of course you can see the links to mobile clients. Let's start with the easy ones, the mobile clients. Download for Android or for iOS (iOS costs $0.99). You don't need to install anything if you have GNOME version 3.24. You can go to SYSTEM SETTINGS>ONLINE ACCOUNTS and you'll see Nextcloud option. You add your server and username/password. And you can see a bookmark on Nautilus (Files). This option doesn't save anything on your local disk. It uploads the files to your instance. So it might be a little slow (depends on your bandwith). If you have older version of GNOME, you can use ownCloud option. It works fine with your Nextcloud instance. 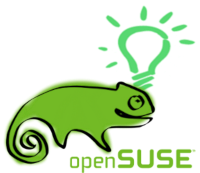 openSUSE has nextcloud client in the repositories. If you cannot find the files, you can search for the packages here and use 1 click install. The client package is in AUR repository. You can read Arch Wiki for more information. or download the rpm and install it. The client is available in Launchpad. Next step is to configure the client. It's very easy. First of all enter the URL for your instance. Then configure what to be synced. Press connect. And when everything is OK press Finish. If you want to check the client properties, click on the cloud icon. There, you can add a second account, maybe from another Nextcloud instance.